It is a little early for me to have a Valentine centerpiece on the table but this one required a little DIY time. I figured you would need a little advance notice if wanted to try a similar idea yourself. I am sure it is no surprise to my regular followers that I combined a little Swedish inspiration with paper and my Silhouette to create these luminaries for my red and white table scape. I combined the handcrafted paper luminaries (use only LED tea lights!) with white candles. My daughter and son-in-law gave me a supply of washi tape with colors for all seasons for Christmas. I used the red to accent the white pillar candles. The red and white hearts bring to mind the Swedish hearts used so often in their folk design. And yes, it does also remind me of the Queen of Hearts! 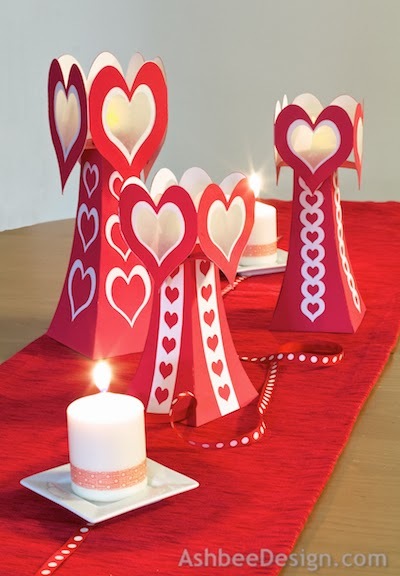 I have made the cutting files for these Valentine luminaries available at the Silhouette online store but have also posted a complete assembly tutorial on my other blog as well. 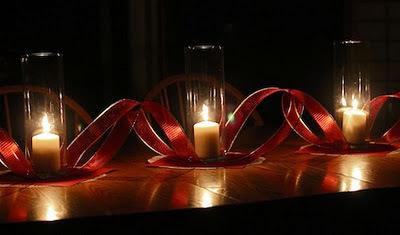 3D Valentine Luminaire Tutorial here. 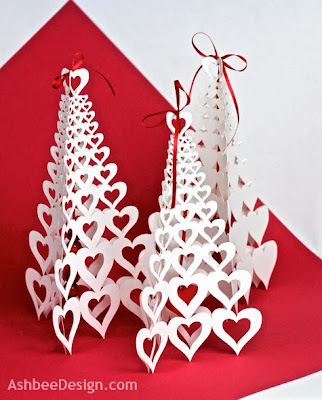 I also have uploaded the cutting files for the Valentine Trees I made last year. These were one of the first projects I completed on the Silhouette. 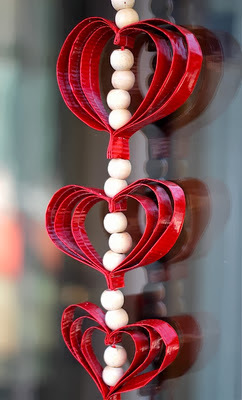 3D Valentine Tree - Open Hearts here. 3D Valentine Tree - Solid Hearts here. I just did a little back file exploring looking at projects from Valentine's Day past. Here are a few reminders. 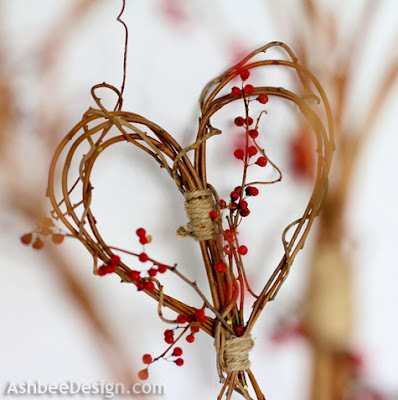 Love the Twig Valentine Hearts. They are sweet! The were truly beautiful with a snow fall on them! Thanks for visiting. Thanks! I like the Scandinavian influence. Thanks for commenting.